Israel and the U.S. know from their intelligence services that Iran has no active nuclear weapons program, but they are not about to let truth get in the way of their concerted effort to marginalize Iran. And so they fantasize before the world about an Iranian nuclear weapons program that must be stopped at all costs – including war. Among the most surprising aspects of this is the fact that most U.S. allies are so willing to go along with the charade and Washington’s catch-all solution – sanctions – as some U.S. and Israeli hardliners open call for a sustained bombing campaign of Iranian nuclear sites that could inflict a massive loss of human life and result in an environmental catastrophe. An equally important fact ignored by the mainstream media is that the key judgments of that NIE have been revalidated by the intelligence community every year since. But reality is hardly a problem for Bolton. As the Undersecretary of State for Arms Control, Bolton made quite a name for himself by insisting that it was the proper function of a policy maker like him – not intelligence analysts – to interpret the evidence from intelligence. It seems worth repeating that the key judgments of the 2007 NIE have been reaffirmed every year since. As for the supposedly urgent need to impose sanctions to prevent Iran from doing what we are fairly certain it is not doing – well, perhaps we could take some lessons from the White Queen, who bragged that in her youth she could believe “six impossible things before breakfast” and counseled Alice to practice the same skill. And there’s the rub. 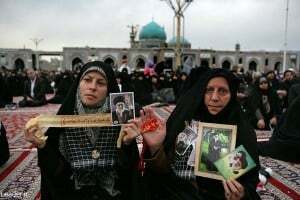 Most informed observers share historian/journalist Gareth Porter’sconclusion that the main sticking point at this week’s negotiations in Lausanne is the issue of how and when sanctions on Iran will be lifted. And, specifically, whether they will be lifted as soon as Iran has taken “irreversible” actions to implement core parts of the agreement. In Lausanne, the six-nation group (permanent members of the UN Security Council plus Germany) reportedly want the legal system behind the sanctions left in place, even after the sanctions have been suspended, until the International Atomic Energy Agency (IAEA) officially concludes that Iran’s nuclear activities are exclusively peaceful – a process that could take many years. Iran’s experience with an IAEA highly influenced by the U.S. and Israel has been, well, not the best – particularly since December 2009 under the tenure of Director-General Yukiya Amano, a Japanese diplomat whom State Department cables reveal to be in Washington’s pocket. Classified cables released by Pvt. Bradley (now Chelsea) Manning and WikiLeaks show that Amano credited his success in becoming director-general largely to U.S. government support – and promptly stuck his hand out for U.S. money. Little has been written to help put some context around the current negotiation in Lausanne and show how very promising efforts in 2009 and 2010 were sabotaged – the first by Jundullah, a terrorist group in Iran, and the second by Secretary of State Hillary Clinton. If you wish to understand why Iran lacks the trust one might wish for in negotiations with the West, a short review may be helpful. The conventional wisdom in Western media is that Tehran backed away from the deal. That is true, but less than half the story – a tale that highlights how, in Israel’s (and the neocons’) set of priorities, regime change in Iran comes first. The uranium transfer had the initial support of Iran’s President Mahmoud Ahmadinejad. And a follow-up meeting was scheduled for Oct. 19, 2009, at the International Atomic Energy Agency (IAEA) in Vienna. The accord soon came under criticism, however, from Iran’s opposition groups, including the “Green Movement” led by defeated presidential candidate Mir Hossein Mousavi, whohas had ties to the American neocons and to Israel since the Iran-Contra days of the 1980s when he was the prime minister who collaborated on secret arms deals. I believe it no coincidence that the Oct. 18 attack – the bloodiest in Iran since the 1980-88 war with Iraq – came one day before nuclear talks were to resume at the IAEA in Vienna to follow up on the Oct. 1 breakthrough. 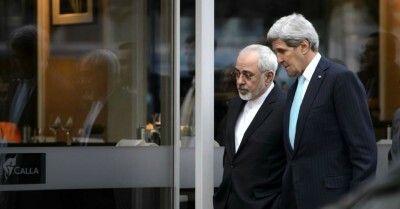 The killings were sure to raise Iran’s suspicions about U.S. sincerity. So, once again. Assume you’re in the position of an Iranian negotiator. Trust, but verify, was Ronald Reagan’s approach. We are likely to find out soon whether there exists the level of trust necessary to start dealing successfully with the issue of most concern to Iran – lifting the sanctions.